The famous 32Red Casino is one of the latest casinos to make its way into the exciting new world of mobile casino gambling. With the new 32Red Mobile Casino, members can enjoy a small selection of best online casino games on their mobile phones. Just imagine playing Blackjack wherever you get phone service! This is the newest rage in online gaming, so get in while it’s still hot. The ‘compatible devices’ list at 32Red Mobile is massive. 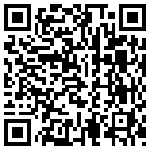 In fact, just about every mobile phone made in the last few years will be compatible with the casino’s Spin 3 software. It’s a snap to set it up, just provide your mobile number on the casino’s site and you’ll get the download link in an SMS. You get to choose what games are installed, so you only have to install the ones you want. Playing on your phone is easy, and everything is surprisingly quick and smooth. 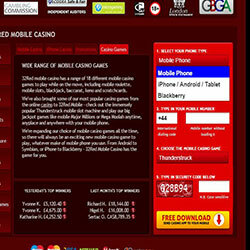 18 mobile casino games are available to download from 32Red Mobile and played right on your phone. 11 of these can be played on touch based devices like the iPhone. Many are slots – you can choose from among Double Magic, Treasure Nile, Fruit Fiesta, Tomb Raider, Major Millions Progressive, or the great Pub Fruity slots. Also playable are mobile roulette, blackjack, video poker, baccarat, keno, and scratch cards. All games feature good graphics, and while they are limited by mobile phone technology, they play and look very well. Players who are new to 32Red can take advantage of a great startup offer – they can get $32 free with every $20 deposited – up to $160 Free! Since things are just getting started at 32Red Mobile, there aren’t any further promotions set up yet, but things might change in the future, so watch the site for news! 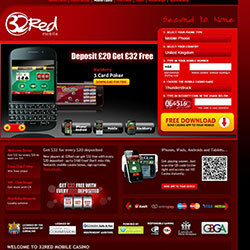 32Red is a very popular internet casino, so it’s great to see them making a move to the mobile market. Since mobile casinos are such a new thing, companies are really just testing the waters, and casinos are not getting deep into it yet. Still, there’s no harm in trying it out. It’s really great being able to play slots and blackjack on the go, and 32Red makes it easy!